I've got a couple of watercolour cards to share using shades of pink for the A Blog Named Hero Tone on Tone challenge. I stamped Hero Arts Antique Rose in Bubble Gum and then applied Distress Inks Spun Sugar and Picked Raspberry on the centres of the flowers. I stamped a whole sheet of watercolour card and made both cards with it. Thanks for dropping by! 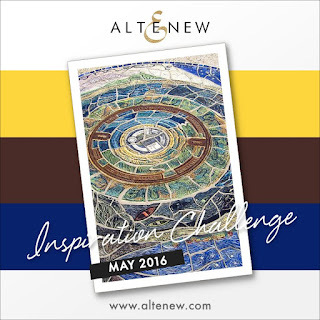 I have a card for Altenew's May Inspiration Challenge. Believe it or not the theme is 'Australia'. 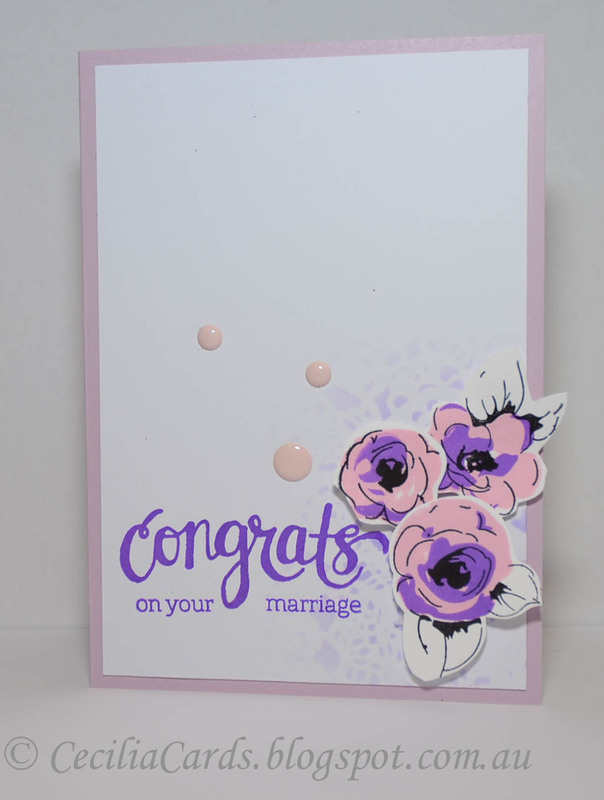 When I looked at the inspiration photo and colours, nothing came to mind and I had to think about it for a couple of weeks before I made this card. I've got a bad case of bronchitis at the moment and had two days off work, so I thought I better tackle this card while I had a bit of time. I used the colours of the challenge to ink up a background with lots of masking happening! 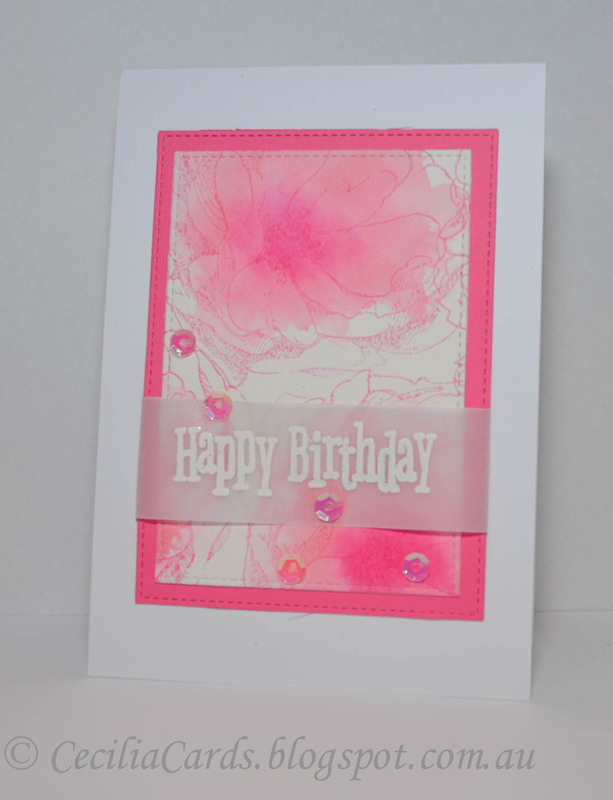 I then decided to sponge the background to make the peony flowers stand out more. The inks I used were Hero Arts Navy, Ranger Archival Coffee, Distress Inks Stormy Sky and Vintage Photo. The flowers were coloured in with Copic marker with Wink of Stella added on top. I'm also adding this to Simon Says Stamp Wednesday - Say it with Flowers challenge. Thanks for dropping by! 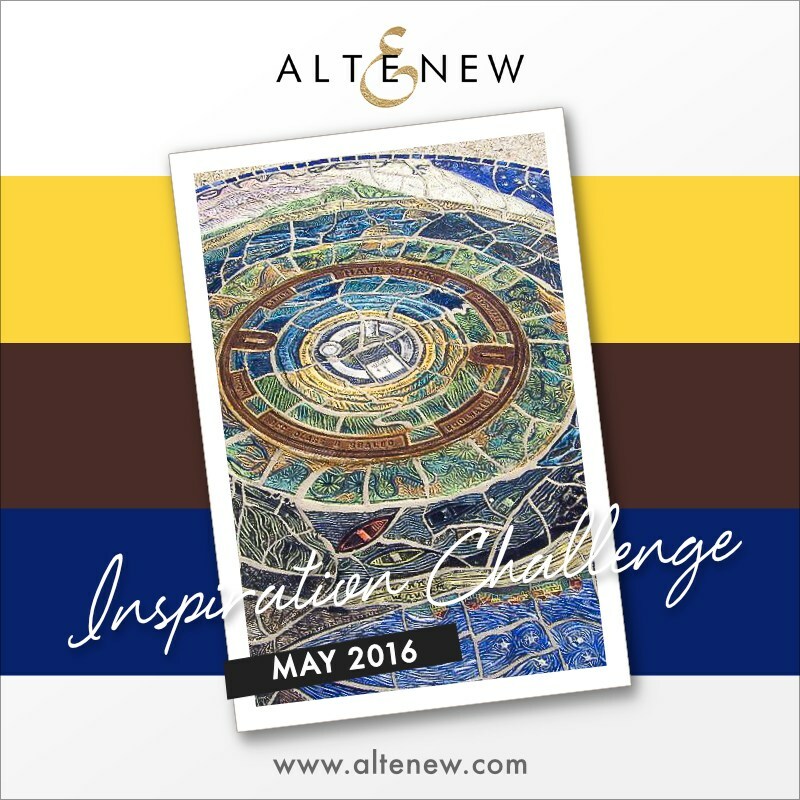 I just love the current A Blog Named Hero's Tone on Tone Challenge. This week, I used the sketch from CAS(E) this Sketch and used a few shades of purple from Distress Ink to Hero Arts Mid-tone Ink to Ranger Dye Ink to pull it altogether! 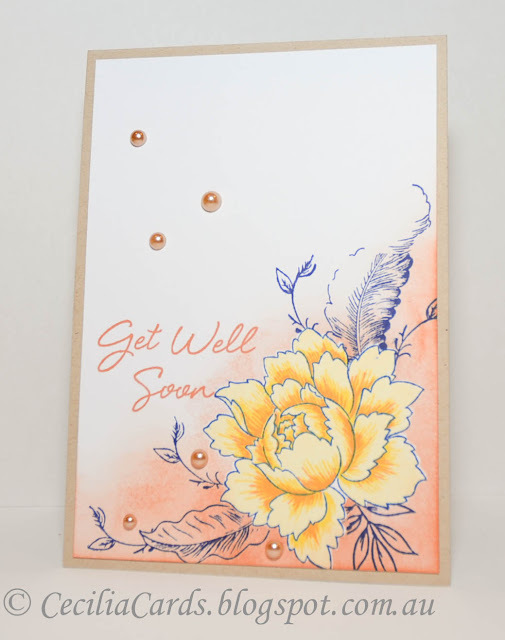 The coloured card and sentiment are from Hero Arts, the stencil is from Tim Holtz and the flowers are from Altenew. 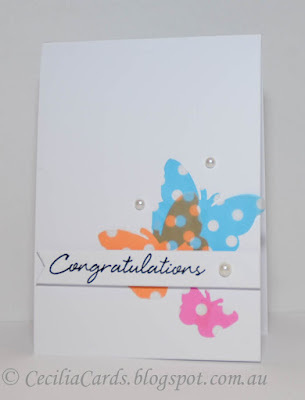 I'm also adding this card to this week's Simon Says Stamp Wednesday Challenge - Say it with Flowers. Thanks for dropping by! 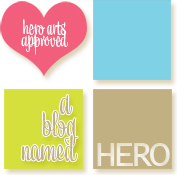 This post is for the A Blog Named Hero's Facebook Fan Page. I can't believe that our youngest niece is turning 16 tomorrow! 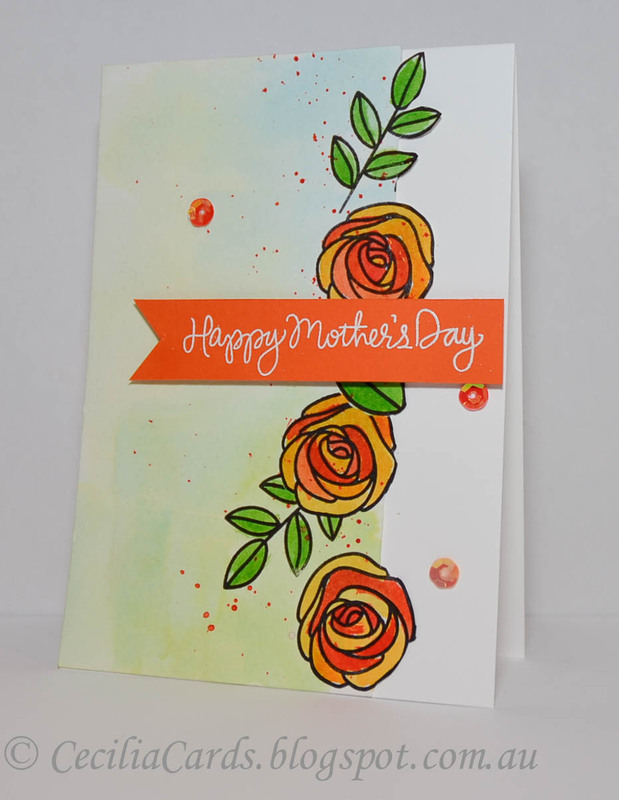 She lives in Sydney and I made this card on Mother's Day, in between running a few errands! 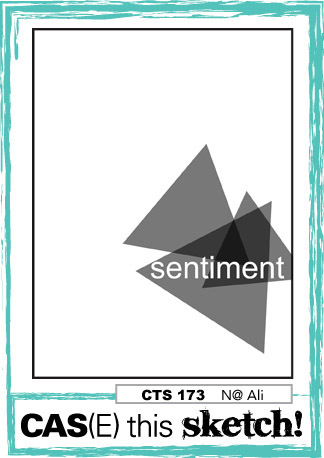 I wanted to use a stencil so that I can enter it into this week's Simon Says Stamp Wednesday challenge. Can you see the stencil in this card! 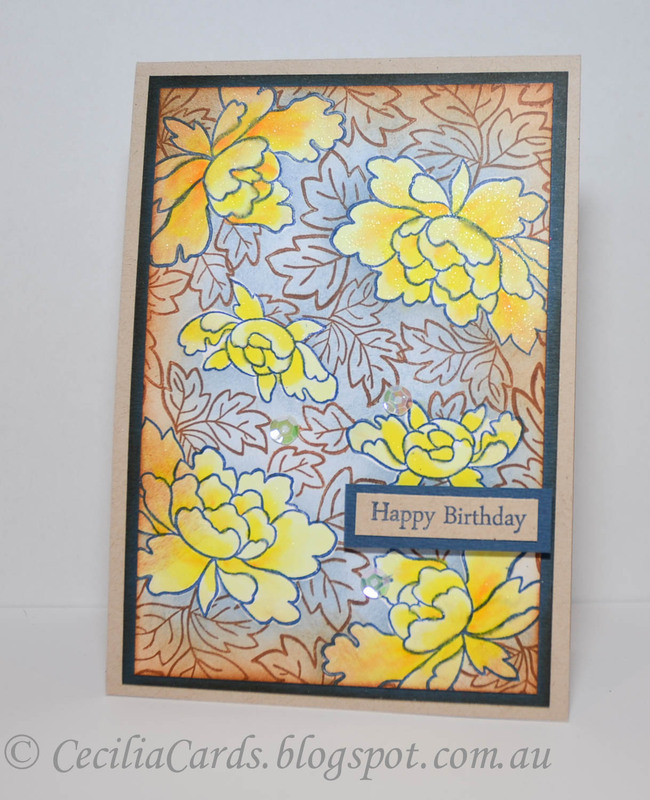 I used the Flash creative screening from Winnie and Walter for the background using two distress inks to colour. 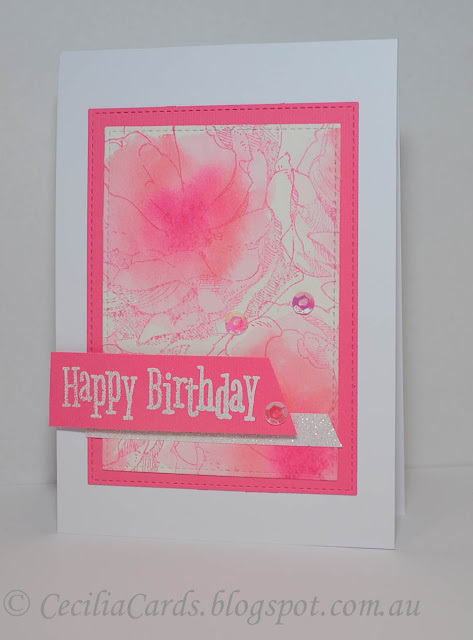 I then overstamped with images from The Party stampset. 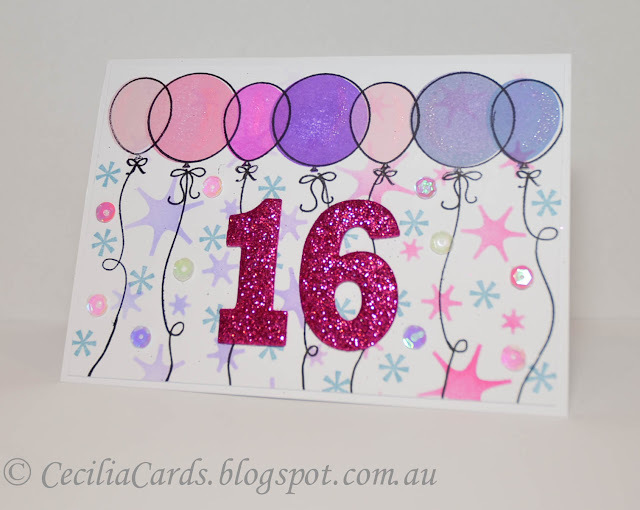 The '16' was diecut with MFT Dienamcs Big numbers dies and glitter foam which I picked up from Lincraft recently. Of course the card would not be complete without a bit of Wink of Stella on the balloons and a sprinkling of sequins. Thanks for dropping by! Happy Mother's Day to all the crafty Mums! I have a card to share for the current Fusion Card Challenge and the Simon Says Stamp Mother's Day/Flowers challenge on Flickr. The stamped images from Simon Says Stamp were coloured with Distress Inks (Tumbled Glass, Candied Apple, Mowed Lawn and Spiced Marmalade) on watercolour card. 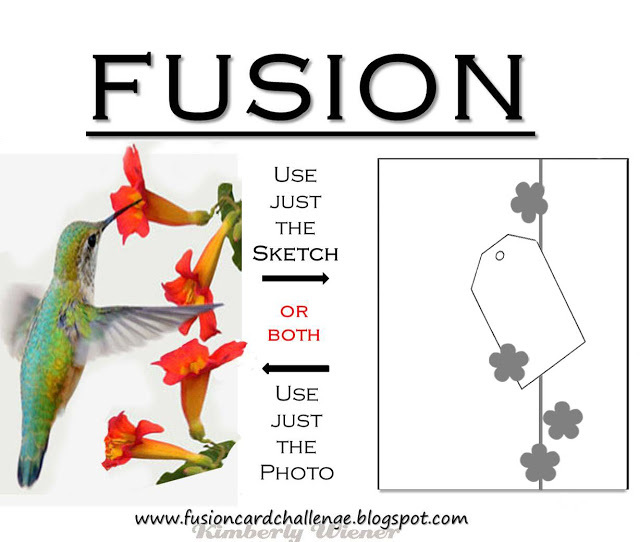 The inspiration is based on the Fusion sketch and colours. Hope you all have a great day! Thanks for dropping by!! I have a wedding card to share for a wedding I attended yesterday. 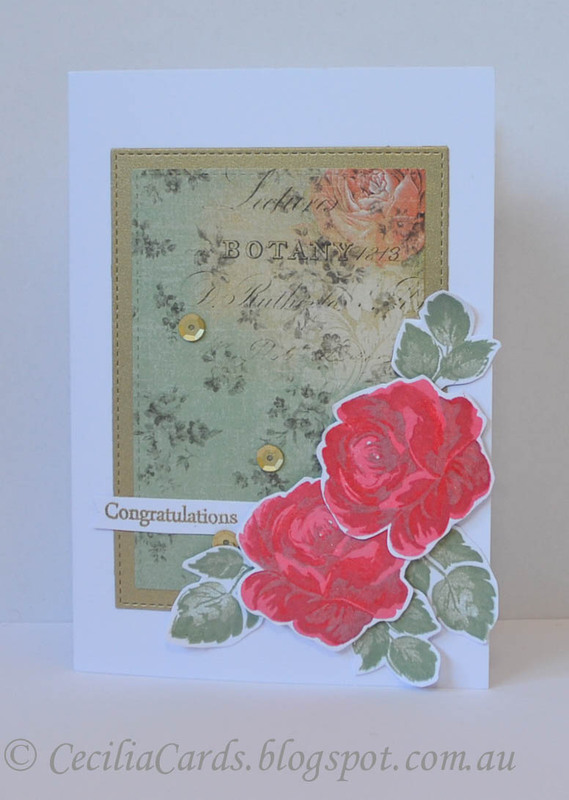 I used the Altenew Vintage Roses with Hero Arts mid-tone inks to ink up the flowers and leaves. 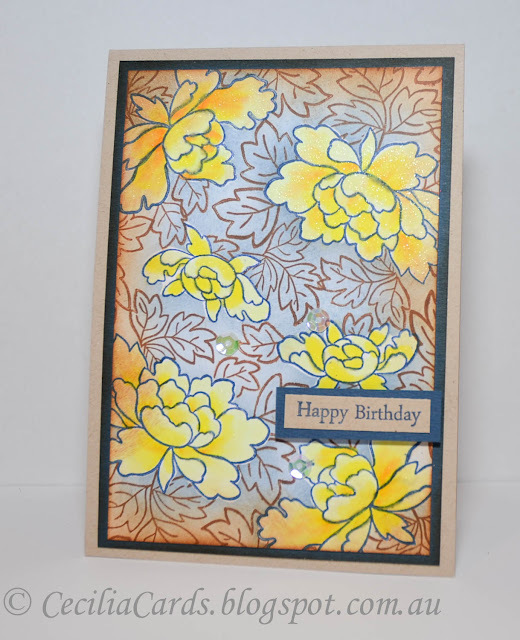 The background pattern paper is from Kaisercraft. 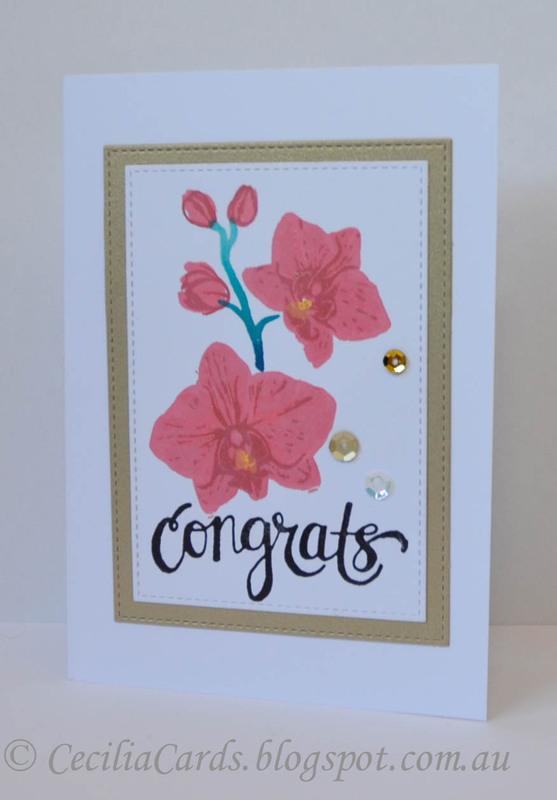 Some sequins and a clear Wink of Stella was added to the flowers. I'm adding this to Simon Says Stamp Wednesday Anything Goes challenge. Thanks for dropping by!